For an athlete, warm-up music can be a key part of their routine, especially as a relief pitcher. 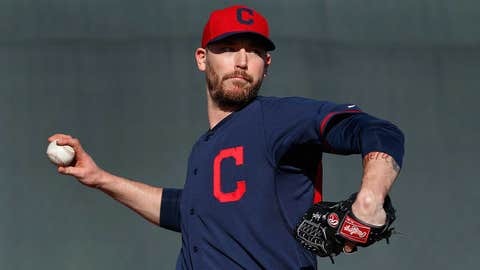 John Axford of the Cleveland Indians is giving fans a chance to have their say in what song he takes the mound to this season. Axford tweeted out Friday night that fans can vote on which song he uses as a warm-up for the 2014 season. Here it is @Indians fans!!! Vote for my intro song!!! http://t.co/ce1DlSWApA Let's see what you want to hear in the 9th!!! Not a bad list of choices right there. I mean, none of these are quite Mariano Rivera ‘Enter Sandman’, but they are still pretty awesome. What warm-up song do you think Axfaxord should use? Also, what would be your warm-up/walk-up song?